This is the center of the quilt ! Making stars with HST's are my favorite "go to" block. Great to make a star, but with just a few turns...there is an abundance of other designs you can create...with just a turn of a star! Can't wait to see how this comes out - such interesting color choices! Thank you for taking the time to let me know what you are thinking and for being KIND. I'm a Quilter who's trying to do it all well, from quilting, being a wife, mother, daughter, sister and friend. Stay a bit and look around, I'm discovering myself in the new land of retirement. I love your comments, BUT... please be nice, I have no time for mean in my life. Star Quilt Block Pattern for YOU ! Quilt Ladies Quilt Pattern Block for YOU ! Posts are checked at the time of publication as well as hyperlinked content. However products, websites, and businesses change so The Quilt Ladies cannot guarantee the accuracy of archived content. The Quilt Ladies content is not intended to malign any religion, ethnic group, club, organization, company, or individual, or anyone or thing. If you decide to use tips, techniques, advice, and recommendations, and are injured, The Quilt Ladies is not to be held responsible. Beth Ann Strub reserves the right to supplement or delete parts of the content or imagery without prior announcement. 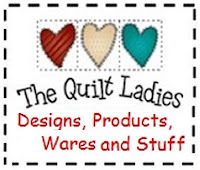 All text, titles, and logo's are created solely for The Quilt Ladies and protected by Intellectual Property Rights. Any photos credited as The Quilt Ladies are also protected. Violation of these terms constitutes a violation of copyright. Comments that are harsh, written with the intent to advertise, contain profanity, or general spam will be deleted. Comments are the sole responsibility of their writers. The Quilt Ladies is not responsible, nor will be held liable, for blog comments. Quilt Pattern Block for YOU ! Little Quilt Pattern Block for YOU ! What I Purchased for "ME"
The Quilt Ladies will not share any information about your visit here on this site. Beth Ann Strub Author,Publisher,Owner, Strubbie House Publishing. Ethereal theme. Theme images by billnoll. Powered by Blogger.